It’s very common to have gray hair in your beard. 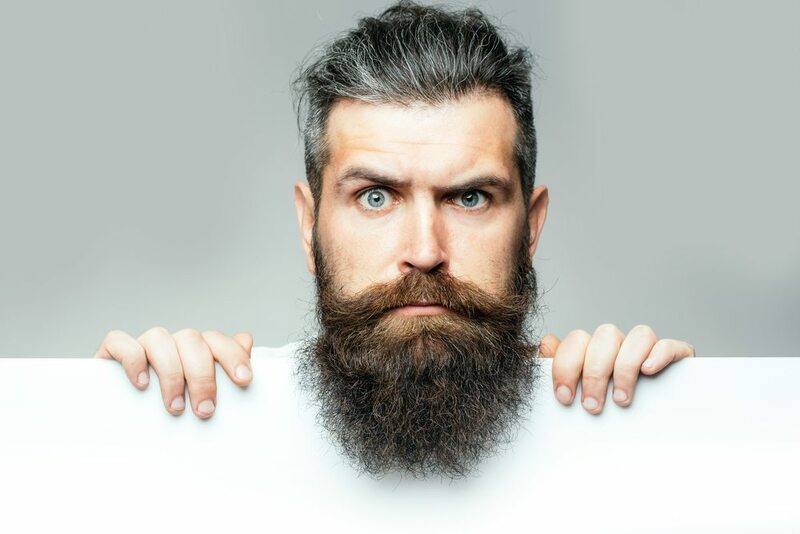 In fact, many men find they gray in their beard before the hair on their head shows signs of graying, which means there’s a lot of young guys walking around with gray strands in their hair or even beards that are predominantly gray. A gray beard, it should be said, can make you look distinguished. So, don’t ditch the gray just because it’s there, or because you think it ages you. Looking distinguished is very different from looking old. But if gray’s just simply not for you, that’s another issue entirely. The good news is, there are ways to handle the situation. Opt for a reputable beard dye. There are a lot of beard dyes out there. Some of them just aren’t that effective; others probably aren’t even that safe. While high-quality henna (a type of dye commonly used in India) is safe and effective, you can run into some really low-quality knockoffs if you’re not careful, so keep this in mind. Just for Men Original Formula has been around for a long time, and it can successfully take your beard back to its original color (providing you choose the right color). UPDATE! They also have now a special line for coloring facial hair! You can see it here. Pay special attention to the color you choose to dye your beard. If you choose a color significantly different from what your beard used to be or from what the color of the hair on your head is now, you may find that the dye job on your beard really clashes with your skin’s undertone. Simply put, all of us have an undertone to our skin color that is different from the basic overtone of our skin, which is light, medium or dark. (That’s a simplification, but yeah.) Your skin’s undertone, on the other hand, tends to fall into three categories: warm, neutral or cool. A warm skin tone is golden skin, peachy skin or warm tan skin. A cool skin tone is might be a be a deep dark color with a blueish undertone or a medium skin tone with a lot of pink (not peach) in it, as just a couple of examples. Neutral skin is in the middle of these too extremes. It’s neither warm nor cool. Olive skin has a green-olive type undertone. It’s usually warm—especially when it’s dark olive—while light olive can be treated as neutral, in general. Cool under tones will have blue veins, warm undertones will have green veins and neutral will fall in the middle. It’s pretty simple when you think of it like that. In general, you want to match your beard to your hair. But if there is no exact match or if you don’t think your beard would look good the color of your hair, be extra careful with your color choice. My gal is a makeup expert and she advises her clients and friends to choose eyebrow pencil that is lighter than their hair instead of darker if there isn’t an exact color match. And I would advise the same towards guys in their beards. After all, beards are normally lighter than the hair on your head anyway, so it won’t look out of place. If you aren’t into dying your hair, the best way you can fight gray hair in your beard is to live a healthy lifestyle and avoid stress. It’s a myth that intense stress can cause your hair to go gray overnight or even over the course of a few months. However, oxidative stress has been linked to prematurely graying hair, because it’s been shown to kill of the pigment-producing cells—the melanins eumelanin and pheomelanin. Without the normal levels of eumelanin and/or pheomelanin to give hair its color, it turns gray. Things like a healthy diet won’t cure gray hair, healthy eating does have a chance to slow it down by giving you the antioxidants you need to fight oxidative stress and neutralize free radicals.